Ash Hathaway shares her experience as a former developer turned product manager for APIs, and how design thinking helped her team solve difficult technical problems. She describes APIs as a user-centric experience and suggests to use empathy maps as well as divergent/convergent thinking. 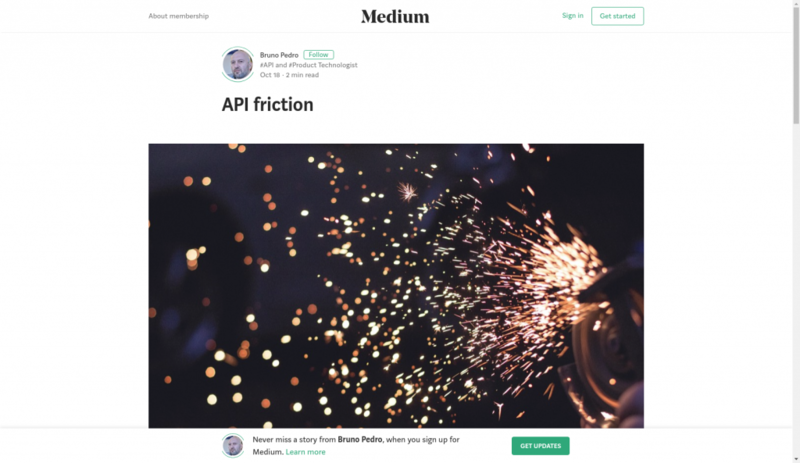 Bruno Pedro, a web and cloud-computing technologist from Spain, is sharing his thoughts regarding what can cause the API friction. The list can be used as a checkpoint to reduce the friction of your service. 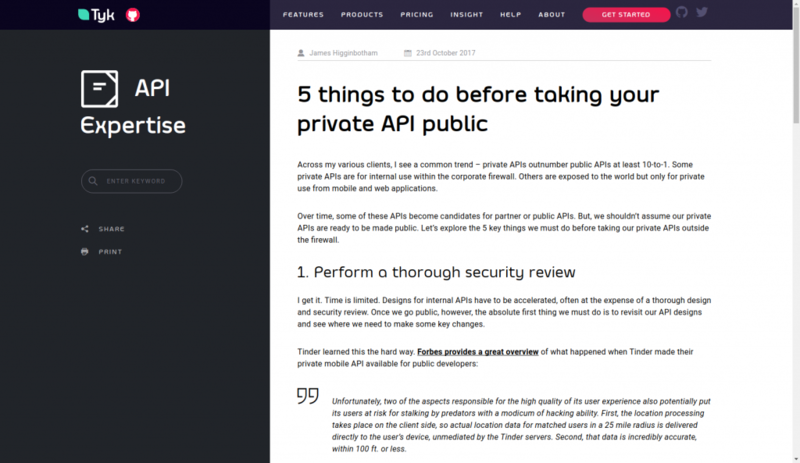 The amount of private APIs considerably exceeds public ones. And we shouldn’t assume that any private API is ready to become public. James Higginbotham is helping to prepare for the API coming out. 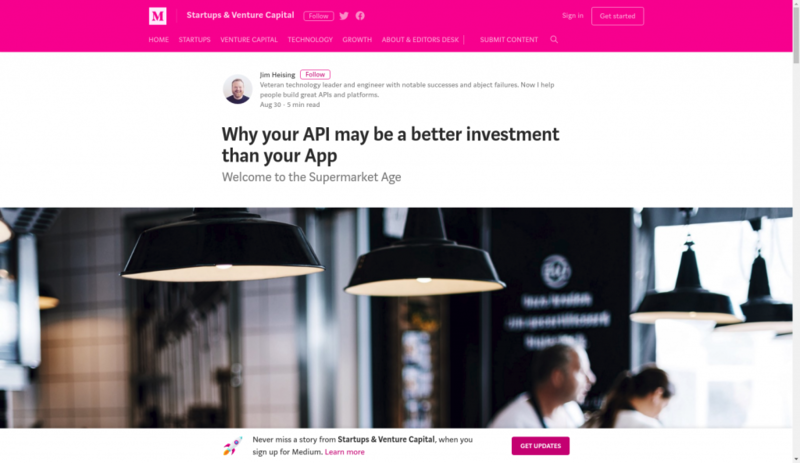 Open APIs serve as the foundation for an open banking strategy. But as important as open API projects are for the future of banking, you can’t just dive in head first. 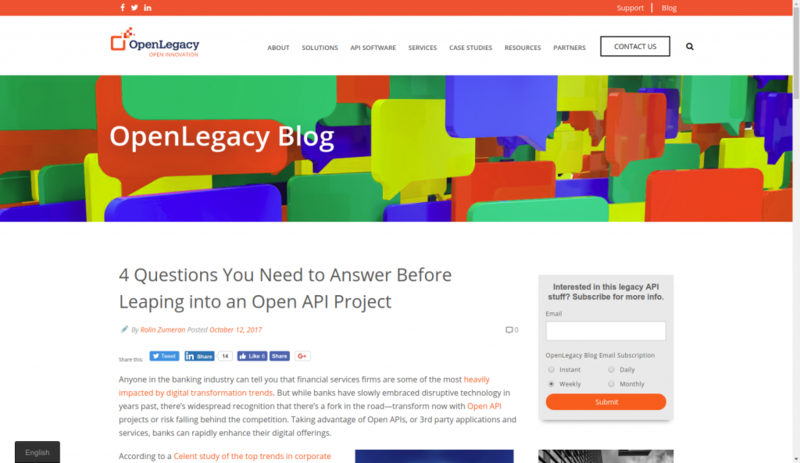 Rolin Zumaran, a president of OpenLegacy, is asking four questions which might help you prepare your organization for rapid digital transformation. Devoting time to visualize the entire documentation experience can help elevate a boring technical document into a piece of art. 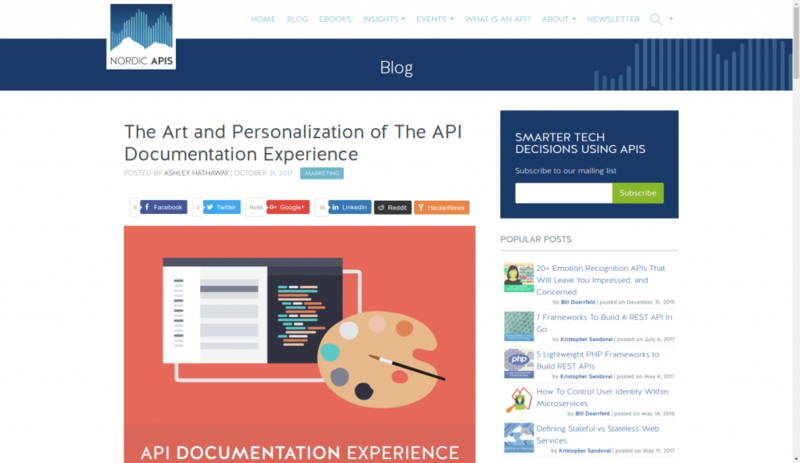 Ash Hathaway collates the most fundamental best practices for API documentation and offers new perspectives on developer portal customization. Jim Heising compares modern mobile apps to boutique stores — each one striving to be unique, creative, bespoke, and memorable. On the other hand, there are APIs. They still provide functionality and services to users, but in a more open and universal way. 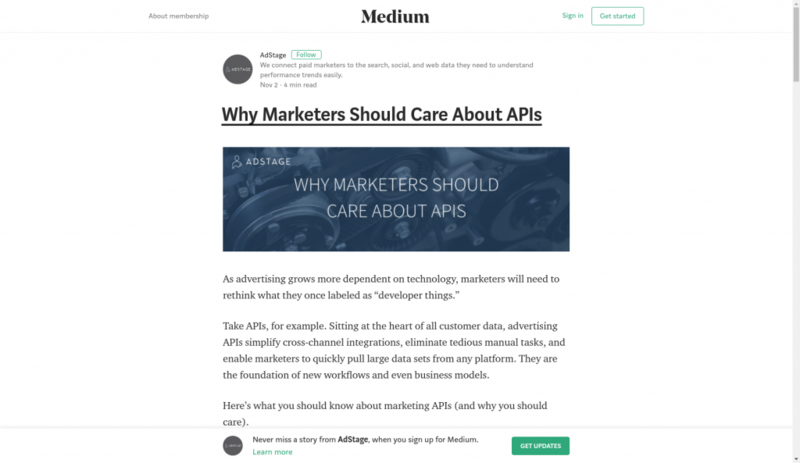 If you are willing to learn some arguments in favor of generating revenue through APIs, reach the article. RapidAPI has collected a pure treasure for anyone wishing to create his own API. 20 tutorials include the most basic instructions for Node.js, Python, PHP, Ruby on Rails, Go, Java, Elixir and ASP.NET. Money questions are usually the most tickling. 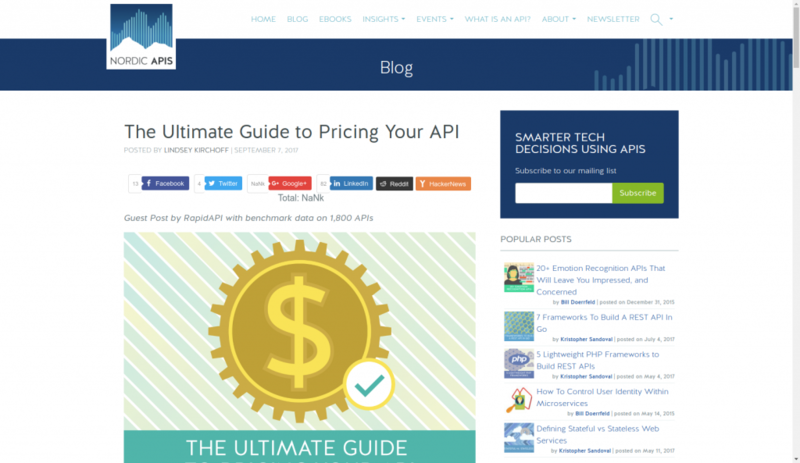 In this guest post by RapidAPI you will different monetization and pricing models along with useful tips and tricks. 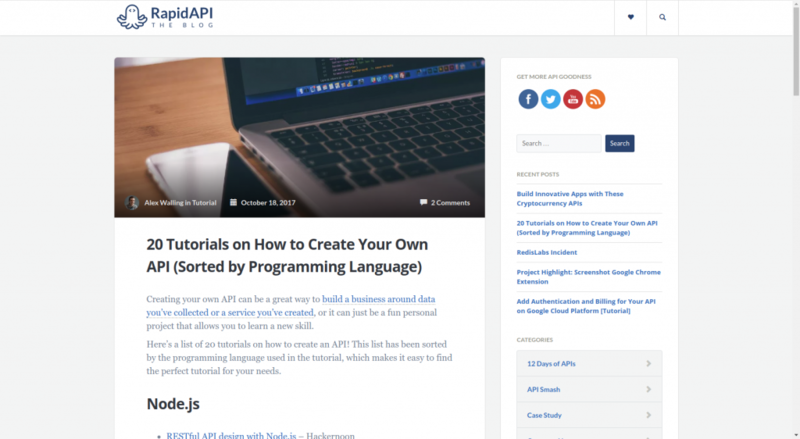 All the data mentioned in the post was collected by the authors after benchmarking 1,800 APIs. The times when APIs were considered the techie-thing has passed. Nowadays marketers must be ready to move their content where your consumers will go. And APIs will enable apps to exchange data and give marketers access needed to act quickly on it at scale. 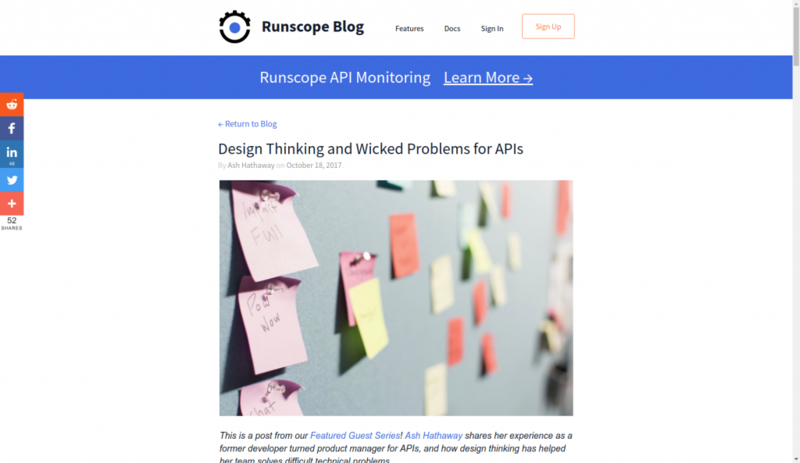 If you are interested in getting latest news in the API world, check our digest #80 and #79 as well as stay tuned for the new blog posts .